Karen Armstrong, author of the best-selling A History of God, The Great Transformation, The Spiral Staircase (her memoir) and other great books, has hit the target again with another urgently needed and beautifully written book. 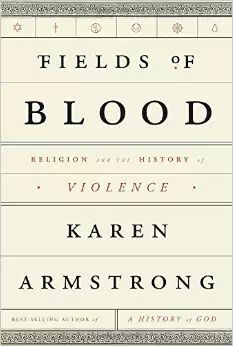 One of the world’s most influential scholars in comparative religions and cultures, Armstrong fulfills her title by clarifying how Judaism, Christianity, Islam, Buddhism, Hinduism, Confucianism, and Taoism have been used to justify violence, but also how they have opposed violence and urged peace, equality, and reconciliation. 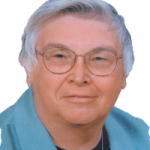 Armstrong’s thesis is that although religion is typically blamed for human violence, the fact is that violence almost always originates with nationalism and then is rationalized though religious reasoning. Beginning with Gilgamesh, the Sumerian epic written about 1200 BCE, Armstrong demonstrates again and again that although violence stems from the nature of the state, which has always required “the forcible subjugation of at least 90% of the population” (p. 395), in essence “the role of religious vision is to fill us with a divine discomfort that will not allow us wholly to accept the unacceptable” (p. 198, emphasis mine). I trust Karen Armstrong when she describes things I know nothing about, because she is so accurate when she writes about evangelicalism and other topics I know by first-hand experience. And I note that James Fallows in the NY Times Book Review admits the same thing: “When [Armstrong] touches on areas I do know about … she seems careful, fair, and true. This naturally inclines me to trust her elsewhere” (Sunday, December 14, 2014, p 55). I have also seen Muslim scholars quoting, with approval, what Armstrong says about Islam. These days warring factions within Islam have caused much speculation about whether or not the Quran is to blame for the violence. Armstrong explains that Jihad (“struggle”) is not a major theme in the Quran, where it usually refers to constant jihad against humankind’s inherent selfishness. 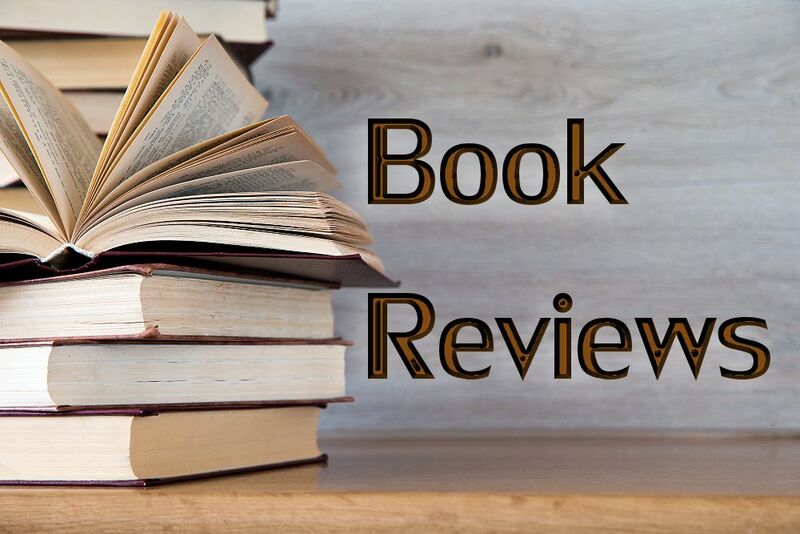 But she admits that “There is … a constant juxtaposition of ruthlessness and mercy in the Quran,” reminding the reader that the Quran came to Mohammed piecemeal in response to a variety of events. In the Quran believers are repeatedly commanded to fight “until there is no more sedition and religion becomes God’s, but they are at once told that the moment the enemy sues for peace, there must be no further hostilities” (p. 186). Realizing that the Bible has frequently been used to justify warfare, we Christians must carefully modify our remarks about Islam even as we attempt to build a global community that opposes violence everywhere. Armstrong defines war as “a psychosis caused by the inability to see relationships, “ and describes the First Crusade as particularly psychotic. In Jerusalem the “half-crazed” First Crusaders slaughtered some thirty-thousand people in three days” (p. 214). Although many Muslims died in that massacre, the survivors made peace and coexisted for over fifty years with the crusaders who remained in the region. It was not until the Second Crusade that Muslims were galvanized to defend themselves in battle. Thus, as Armstrong is careful to point out, “Jihad… had been resurrected not by the inherently violent nature of Islam but by a sustained assault from the West” (p. 219). And by the Sixth Crusade (1228-29), Muslims had become convinced that since “Christians seemed t think it more important to fight Muslims than to get Jerusalem back, the West was their implacable enemy” (p. 220). It would seem that for certain Muslim radicals, that attitude is repeating itself or has never changed. Armstrong supplies an important corrective for those who claim that America was founded by Christians as a Christian nation. Our founding fathers, she explains, “were men of the Enlightenment, inspired by Locke and Newton, and were also deists, who differed from ordinary Christians by rejecting the doctrine of revolution and the divinity of Christ” (p 270). One of my favorite passages in Fields of Blood describes the influence of a monk named Maximus (580-662), who insisted that through experiencing the Eucharist, contemplation, and the practice of charity, human beings could become divine. Then we would “imitate God and love all men equally” (p. 176). Admitting that emperors and tyrant bishops through the ages have never promoted this doctrine of deification, Armstrong nevertheless continues to use her considerable influence to help humankind “find ways of doing what religion – at its best – has done for centuries… cultivate a sense of reverence and equanimity for all, and take responsibility for the suffering we see in the world” (p. 401). Throughout history, “no state, however idealistic and however great its achievements, has ever escaped the taint of war and violence” (p. 401). And all states have always used some sort of scapegoat ritual in order to excuse their misdeeds. But as Armstrong wisely concludes, scapegoating can no long be a solution for us today. Field of Blood includes 54 pages of footnotes, 40 pages of bibliography, and a 23 page index. And as scholarly as the book is, it contains no academic jargon. The entire case is presented in engaging and accessible language, perfect for individual or group study.